This is a well proven and versatile yacht. Well set up for cruising with an impressive inventory. 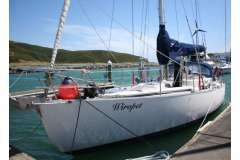 A pretty yacht SV Wiropet was built in Denmark and has proven herself over many years. She remains well maintained and presented.